A light, poetic atmosphere suffuses the banks of the Rhône. 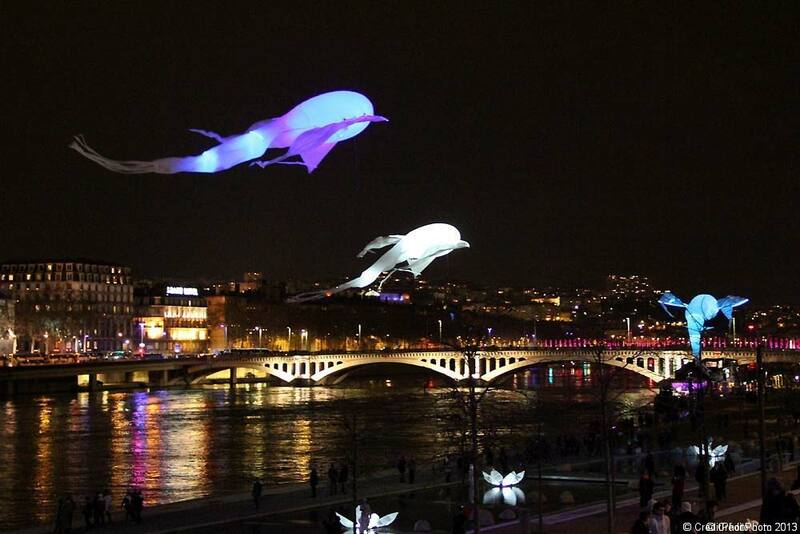 Luminéoles – imaginary light birds with slender wings first seen in 2011 – dance, skimming the water. When they fly off, there is a blaze of colours with the sky and the city as a backdrop. Both banks of the river can enjoy watching this spectacular aerial ballet. 3 millions visitors during 4 days. « Le Bal des Luminéoles » : 8 luminéoles.